Chowchilla Family Express unites children and families with their loved ones in prison by providing transportation to the two women’s prisons located in Chowchilla, California. Through its work, CFE furthers the CDCR’s mission of reducing recidivism and breaking the intergenerational cycle of crime by supporting the restoration of family relationships and increasing visiting opportunities between children and their mothers in prison. We also create mutual awareness between families, communities and the CDCR for greater understanding and collaboration. Chowchilla Family Express advocates for the right of children to see, touch and talk to their parent who is incarcerated. 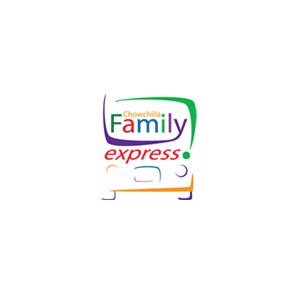 Chowchilla Family Express unites children and families with their loved ones in prison by providing transportation to the two women’s prisons located in Chowchilla, California. Through its work, CFE furthers the CDCR’s mission of reducing recidivism and breaking the intergenerational cycle of crime by supporting the restoration of family relationships and increasing visiting opportunities between children and their mothers in prison. We also create mutual awareness between families, communities and the CDCR for greater understanding and collaboration. Chowchilla Family Express advocates for the right of children to see, touch and talk to their parent who is incarcerated.